Little Rascals | All Aboard For Skinker's Swamp! When we think of the all-time great movie theme tunes, what immediately springs to mind? Star Wars? James Bond? The Great Escape? All durable classic themes, to be sure, but what about movie themes of an earlier vintage? Could any of us casually whistle a title tune dating, say, from the earliest days of soundtrack recordings? It sounds like an impossible task, but actually it is quite easy. 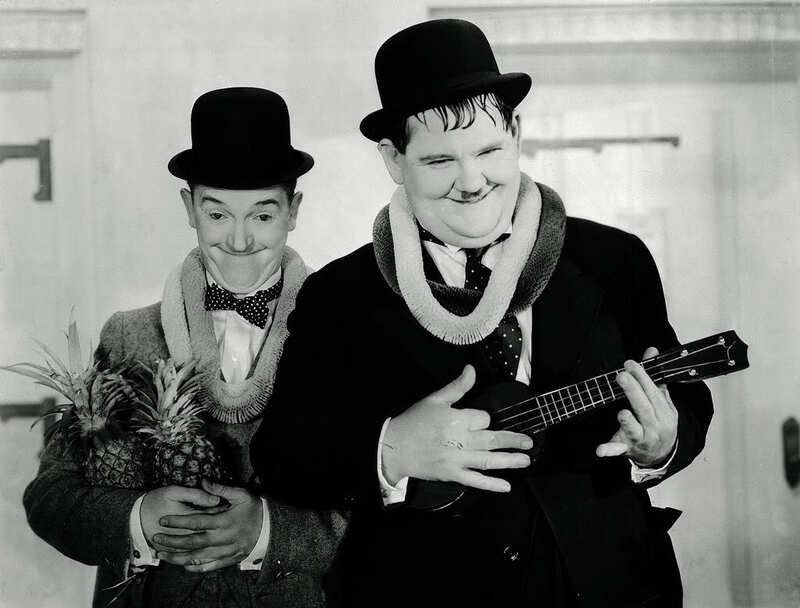 No theme tune in celluloid history has endured as well as “The Dance of the Cuckoos” (aka “Ku-Ku”) – universally recognised today as the ‘Laurel and Hardy’ theme tune. Indeed, it is quite possibly the only piece of music in 20th Century popular culture that could rival the opening bars of Beethoven’s 5th Symphony in terms of instant worldwide recognition. “Ku-Ku” was originally written in 1928 as an hourly time signal for KFVD radio station, which was located on the Hal Roach studio lot in Culver City, California. Upon hearing the tune one morning, comedian Stan Laurel immediately recognised its potential and decided it would be a perfect way to open Laurel and Hardy’s new brand of ‘talkie’ short subject comedies. The rest, as they say, is history. 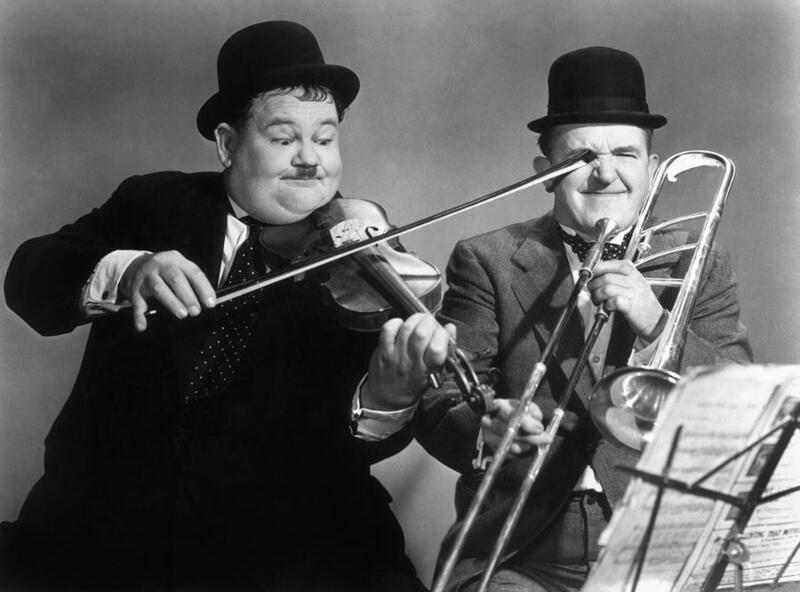 The music is first believed to have been used at the start of the duo’s seventh ‘talkie,’ Night Owls (1930), and the theme would consequently launch the majority of Laurel and Hardy films for the rest of their career. 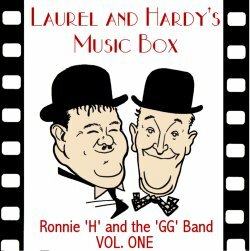 The composition’s originality stems from its two disparate melodies played together in dissonant counterpoint – a bold, sprightly ‘bugle call’ melody representing the assured, confident persona of Oliver Hardy, and a descending two-note ostinato signifying the “cuckoo” world of Stan Laurel. 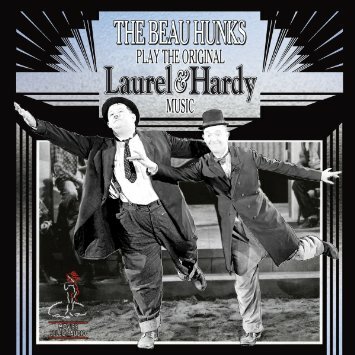 The timeless popularity of “The Dance of the Cuckoos” has ensured that the name of the tune’s composer, Thomas Marvin Hatley, will forever be associated with Laurel and Hardy. Born in Reed, Oklahoma, on April 3, 1905, Hatley would play a crucial role in the creation of Laurel and Hardy soundtracks throughout the 1930s, serving as musical director for the duo’s work at Hal Roach studios. 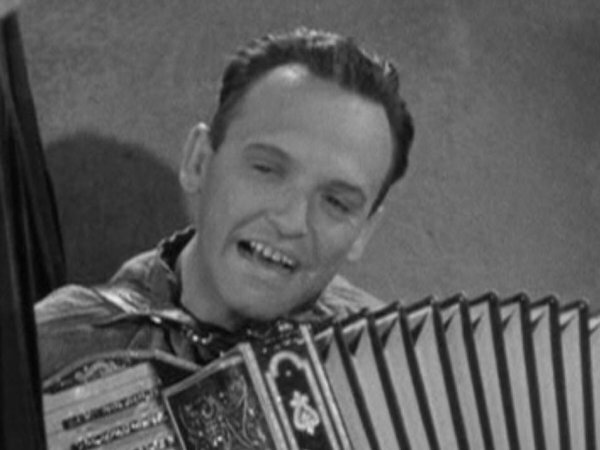 His duties would involve providing musical sound effects heard during the movies, such as the crashing piano sounds from The Music Box (1932), as well as performing off-screen instrumental duties, such as the parping tuba accompaniment to Oliver Hardy’s vocal rendition of “Let Me Call You Sweetheart” in Swiss Miss (1938). Hatley was also a skilled composer, writing a large amount of special material for the boys’ feature length movies. His irresistible song “Honolulu Baby” proved to be a highlight of their classic movie Sons of the Desert (1933), with a tune so memorable that even Stan and Ollie couldn’t stop singing it throughout the film. However, although Hatley contributed a great deal to the duo’s musical efforts, it is the music of another composer, Leroy Shield, which features most prominently in the team’s legendary work from the early 1930s. As the man responsible for creating dozens of catchy, memorable melodies, Shield’s music saturated the Hal Roach studio’s output between 1930 and 1937, dominating hundreds of short subjects from the first minute to the final frame almost as if it were aural wallpaper. The effect was twofold: on a practical level, the use of wall-to-wall music helped minimize the sound of hiss that was inherent during the film recording process at that time; on an artistic level, the music also served to create a jovial, spirited atmosphere for each movie, frequently supporting and enhancing the on-screen action. For modern audiences in particular, this constant barrage of music has ensured that the work of Laurel and Hardy, Our Gang, Charley Chase and The Little Rascals has aged considerably well. In contrast to many other productions from the early 1930s, which now appear slow and dated due to the distinct lack of musical scores, the toe-tapping tunes of Leroy Shield continue to keep viewers enthralled and entertained, adding a dash of sparkle and life to every moment of these treasured productions. Leroy Bernard Shield was born in Waseca, Minnesota, on October 2, 1893. A child prodigy, Shield seemed destined for a life as a touring concert pianist, but his career changed track when he enlisted to join the Army during the First World War. He served as band-leader and soon developed a taste for conducting, and upon his return to civilian life Shield found employment as arranger/conductor at the Victor Talking Machine Company in New York. He quickly rose through the ranks, becoming head of A&R for the organisation’s Western Union states. By 1929 his path to Hollywood was secured when Hal Roach studios negotiated a deal with Victor to assist in the creation of talking picture soundtracks, including the musical scores. Shield was duly sent to Culver City and he wasted no time in getting to work, writing 68 compositions within a two year period, while simultaneously pioneering the development of a unique film scoring process. It was his inspired idea to create short musical cues, often under sixty seconds in duration, which could then be looped and edited to synchronise perfectly with the visual action on screen. It is a recording process still in practice to this day, particularly in the world of television. In keeping with the established traditions of silent movie accompaniment, Shield would create memorable themes, catchy riffs, and generic mood music to complement every conceivable on-screen action, whether it be a high speed chase scene, a slapstick joke, a tearful farewell, or a dramatic cliff-hanger. Once recorded, these themes resulted in a body of work available for use across the whole spectrum of Hal Roach studio productions, with editors Richard Currier, William Terhune and Elmer Raguse able to pick and choose from a vast array of themes to accompany specific scenes in any given movie. The cues could be used in a variety of ways – to punctuate a gag, to help improve the pacing of a scene, to establish a mood, or to serve as ironic commentary on the storytelling process. But just why were Shield’s melodies so popular? What made his compositions so unique that nobody else could match the quality of his work? Quite simply, Leroy Shield’s primary talent lay in his effortless ability to create irresistibly happy melodies – jaunty and catchy, and invariably fizzing along in upbeat fox trot tempos. He could create melodies of incredible lightness and delicacy, such as the airy, flute driven “Colonial Gayeties” (Blotto, 1937 reissue version), with its bouncy rhythms and jaunty 2/4 accompaniment. This lightness of touch would also extend to his up-tempo numbers, giving tunes such as the exuberant “Give Us a Hand” (One Good Turn, 1931) a graceful flow and balance, even as the melody rapidly cascades over a succession of quick-fire quarter notes. Call and response phrases pepper his work too, as if a musical dialogue were taking place between Laurel and Hardy themselves in the scores. “If It Were Only True” (One Good Turn, 1931) and “Beautiful Lady” (Another Fine Mess, 1930) contain prime examples of this style, with phrases passed to-and-fro between trumpets and saxophones, and brass and woodwind. The predominant use of major keys and stately lead trumpet also adds a degree of grandiose nobility to many of the cues, particularly in “We’re Just a Happy Family” (Our Relations, 1936). Shield also makes great use of repetitions, gaining maximum usage out of small kernels of melodic motifs. In many instances, he achieves this by latching onto a simple phrase and developing this motif through variations, key modulations and cadences, as heard in numerous cues such as “Here We Go” (Laughing Gravy, 1931), “Dash and Dot” (Any Old Port! 1932) “Nothing at All” (Chickens Come Home, 1931), “Little Dancing Girl” (Busy Bodies, 1933), and Shield’s signature tune, “On to the Show” (Me and My Pal, 1933). By the time each tune has ended, we find ourselves singing along, already comfortably familiar with the recurring themes. Leroy Shield was also a master of the mood cue. Just a cursory glance at his list of compositions tell us all we need to know about each specific cue: “You Are the One I Love” (Me and My Pal, 1933) is an earnest love theme, though invariably used with great irony in the Laurel and Hardy short subjects; “Drunk” (Helpmates, 1932) is a fittingly skewered, off-centre melody, meandering from key to key; “Cops” (The Chimp, 1932) was based upon a tune written by Ewing, but would invariably be played every time a policeman appeared on screen, poking fun at the figure of authority with its playful march music. Along with other obviously titled cues such as “Hunting Song” (Pardon Us, 1931), “Funeral March” (Laughing Gravy, 1931), “Goof” (Our Wife, 1931) and “Fastie” (Bonnie Scotland, 1935), this wealth of appropriately titled music tracks would aid the sound editors considerably in their efforts to compile a coherent, consistent soundtrack from the ‘jukebox’ of available recording loops. Shield also possessed the uncanny knack of making instruments ‘sing,’ giving them a human characteristic that becomes irresistible when paired with Stan and Ollie’s on-screen antics. The lazy, laughing clarinet as heard in “Rockin’ Chair” (Chickens Come Home, 1931) is a prime example, as are his many ‘Laugh’ tracks featuring giggling woodwinds and trumpets. Indeed, his talent for orchestration is evident throughout his work, whether producing beautiful woodwind combinations (“Antics” Any Old Port! 1932), gentle brass effects (“Riding Along” Pardon Us, 1931), or orchestral tone poems (“Slouching” Be Big! 1931). He could also spruce up old tunes with a new set of clothes, re-orchestrating cues such as “Colonial Gayeties” (County Hospital, 1937 reissue version) by replacing the fluttering flutes with strident strings. Waltz tunes were also a constant source of inspiration to Shield, who produced some of his most memorable music with ¾ measure themes such as the irrepressible “Candy, Candy” (Laughing Gravy, 1931) and the beautifully melancholic “In My Canoe,” which can be heard during the memorable scene in County Hospital (1932) where Stan brings the ailing Ollie a thoughtful gift of hard boiled eggs and nuts. Over time, a number of individual cues became perennial favourites of Laurel and Hardy fans, due to their repeated use in the short subjects. “Bells” (Our Wife, 1931) appears no less than 24 times in the Laurel and Hardy oeuvre, and opens with a distinctive arpeggio down the scale performed, quite appropriately, by tubular bells, before leading to a typically melodic response from the orchestra. “The Moon and You” (Come Clean, 1931) showcases one of Shield’s greatest melodies – a classic example of his ability to conjure a distinctive tune out of a short two bar dance band riff, with the middle section again expanding a two bar theme via his favourite devices of repetition and modulation. “Look at Him Now” (Towed in a Hole, 1932) is heard 23 times in the Laurel and Hardy movies, and displays Shield’s music at its ebullient best, with swaggering brass answered by echoing strings and stop-start reeds. And has there ever been a sprightlier tune than “We’re Just a Happy Family” (Our Relations, 1936), so optimistic in its outlook that you just know things will go terribly wrong soon. The fast paced “Give Us a Hand” (Helpmates, 1932) was also a perennial favourite, appearing in an incredible 50% of all Hal Roach produced short subjects during the 1930s. As well as the Laurel and Hardy films, the music of Leroy Shield would also grace the short subjects of Our Gang, the Little Rascals, and dozens more comedies produced by Hal Roach studios throughout the 1930s. Indeed, many of Shield’s earliest cues were originally written for movies that did not feature Laurel and Hardy. With the studio’s sound editors able to pick and choose from a recorded archive of hundreds of cues, Shield’s music subconsciously became synonymous with the studio’s entire output, as immediately identifiable as any of the comedians on screen. For Shield, this was bittersweet, as he received a flat rate of $200 for every recorded composition, but no further payments for the repeated re-use of his work. However, audiences clearly adored his music from the very beginning, as proven by the release of the Leroy Shield Song Album sheet music folio in 1931, featuring piano arrangements of Shield’s most popular melodies. Shield would also compose lengthy classical tone poems, similar to the work produced by his contemporary George Gershwin, with one of his most avant-garde compositions, “Cascadia,” included in the aforementioned folio. Although his initial involvement with Hal Roach studios had ended by 1931, Shield would return to assist with the musical score for the ambitious operatic production Fra Diavolo (1933). He would also record a number of new compositions in 1935, after production manager William Terhune was forced to admit that, after five years of constant reuse, the studio’s reliance upon Shield’s 1930 recordings had “become a bit tiresome.” Therefore, the studio commissioned Shield to compose “20 new and original numbers, mostly lively fox trots with perhaps a waltz or two,” and the following year also saw Shield produce a full score for the feature-length movie, Our Relations (1936). His last work for Hal Roach studios came in 1937, writing music for Our Gang Follies of 1938. Marvin Hatley received a richly deserved Oscar nomination for his work on Way Out West, with his score particularly notable for its “Donkey’s Ears” theme – upon hearing this tune for the first time, producer Hal Roach was said have enthused, “Cute music! Cute music!” Hatley would continue to score the boys’ subsequent features, Block-Heads (1938), A Chump at Oxford (1940), and Saps at Sea (1940), before leaving Hal Roach studios in 1939 to start a new life as a cocktail lounge pianist. Unlike Shield, Hatley lived long enough to see his music rediscovered and acclaimed by a new generation of fans, and he enjoyed his belated celebrity status up until the time of his death, aged 81, on August 23, 1986. 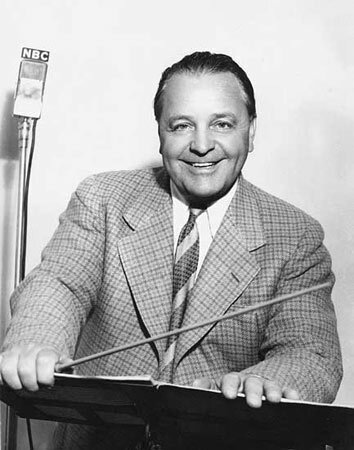 For the remainder of his career, Leroy Shield would focus his efforts on his acclaimed conducting work for NBC Radio, where he had worked for a number of years, scheduling his workload in tandem with his Hollywood commitments throughout the 1930s. He had relocated to Chicago in 1931 to work as manager of NBC’s music division, and by the time of his exit from Hal Roach studios in 1937, his reputation as an orchestra leader was without peer. Writing in the February, 1939 issue of The Orchestra World, reviewer Al Payne had no qualms in proclaiming Shield’s work to be “radio music at its very highest peak.” To cap his glittering career in Chicago, Shield and his Orchestra played their part in a series of historic broadcasts during the invasion of Normandy in June, 1944, providing the musical interludes in between the momentous live news reports. Between 1945 and 1954, Shield uprooted to New York where he served as Contractor of the NBC Orchestra. Often acting as stand-in for the legendary conductor Arturo Toscanini, he even embarked on a nationwide tour with the maestro in 1950. Meanwhile, his compositional skills would continue to be put to good use, writing a large amount of music cues for assorted radio dramas up until his eventual retirement in 1955. Leroy Shield died on January 9, 1962 aged 68. His obituary in Variety magazine failed to mention his work in Hollywood, focusing instead upon his acclaimed career with NBC. With the passing of Hollywood’s golden age, it appeared as if his contributions to the movie industry would remain largely uncredited and unacknowledged. Fortunately, a huge resurgence of interest in his Laurel and Hardy movie scores during recent years has confirmed his genius to modern audiences. The original recordings of Shield’s cues have regrettably vanished without trace, but thanks to the efforts of BBC TV theme composer Ronnie Hazlehurst and the subsequent scholarly research conducted by Piet Schreuders and the Beau Hunks Orchestra, we can now enjoy pristine, faithful renditions of Shield’s timeless, effervescent music on numerous CD recordings. His work is now rightfully regarded as one of the cornerstones of early Hollywood soundtrack history – as fresh and original as the day they were first created. And, so long as audiences continue to enjoy the slapstick antics of Stan and Ollie, Our Gang, and the Little Rascals, his music will live on forever.